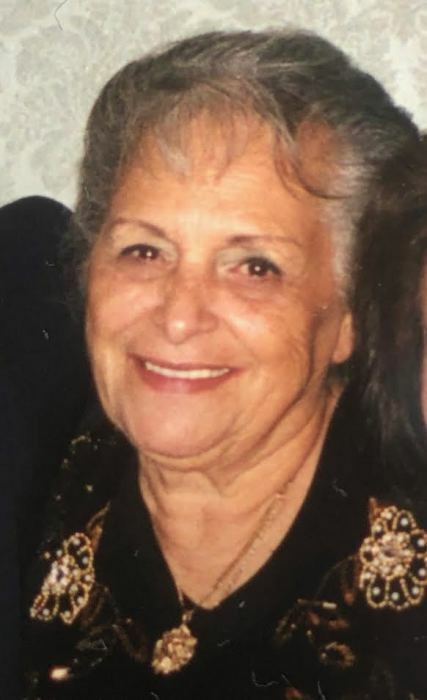 Bottari, Dorothy (Belmonte) of Revere, formerly of the West End of Boston passed away peacefully surrounded by her loving family on March 16 at the age of 89. Loving wife to the late Paul Bottari. Devoted mother of John Bottari, the late Paul Bottari Jr, and Karen Bottari. Dear sister to Louise Belmonte of Revere and Jacquelyn Neil of Lee, NH. Cherished grandmother of several grandchildren including Ronnie Pulicari and his wife Malinda, April Fitzgerald, Mia Vinciarelli, and Anthony Bottari. Special aunt to Jan, John, Michael, Jimmy, Lorraine, Jeff, and Joanne. Family and friends will honor Dorothy’s life by gathering at the Ruggiero family Memorial Home 971 Saratoga St East Boston on Tuesday March 20th from 9:00 AM to 10:30AM before leaving in funeral procession to St. Joseph - St. Lazarus Church Ashley St., East Boston for an 11:00AM funeral Mass in celebration of Dorothy’s life. Services will conclude with Dorothy being laid to rest with her beloved husband Paul in Holy Cross Cemetery Malden, MA. Born on May 7, 1928 in the West End of Boston, Dorothy would spend the majority of her life living in Revere. Dot was well known for her amazing food and love for Elvis Presley. She will be missed by all who knew her.